It is much easier and significantly less expensive to change the glass and keep your beautiful door. We offer many choices in replacement glass. Do you have cracked, broken, or foggy glass in one of your doors? Almost all door glass is tempered double-pane glass which we can change out quickly without any disruption or mess. Older doors and storm doors may only be single-pane glass, which is also simple to address. By code, door glass must be safety glass. 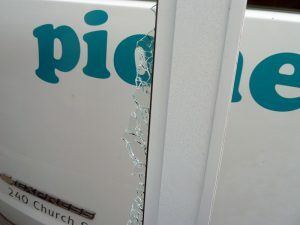 All our door panels will be tempered for your protection. Tempered glass is tougher glass which breaks into pebble-sized pieces which is much less dangerous than shards of old-fashioned annealed glass. In the photo to the right is an example of broken tempered glass in a storm door. Notice how small the pieces are. 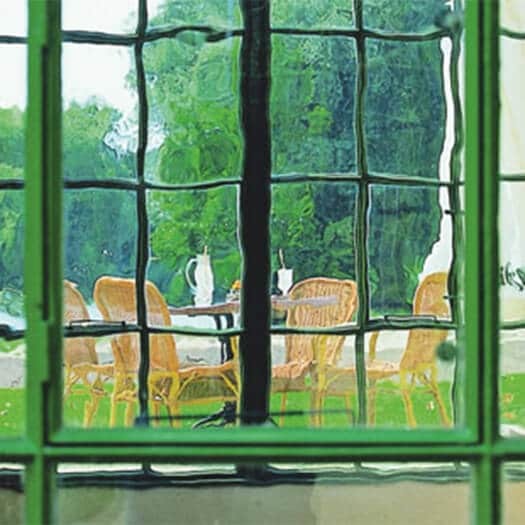 By and large, most customers buy traditional clear glass for french, patio, and sliding doors. Single-pane glass still exists in older doors and storm doors. Generally, standard clear glass is used to replace these panels. However, there are a variety of options, including patterned and restoration glass, available. Cut to size and tempered, this is generally a quick and reasonably-priced option. It is less energy efficient than double-paned glass. Double-paned glass is now the standard in door glass. Double-paned glass has many names, including dual pane, double glazed, insulated glass, and thermal pane. Double-pane glass is energy efficient and offers outside noise reduction. Just like single-pane glass, double-pane units can crack and break. But double pane has another enemy. The seals in double pane glass can fail. When this happens, condensation can get in between the panes ruining the view through your gorgeous patio doors. 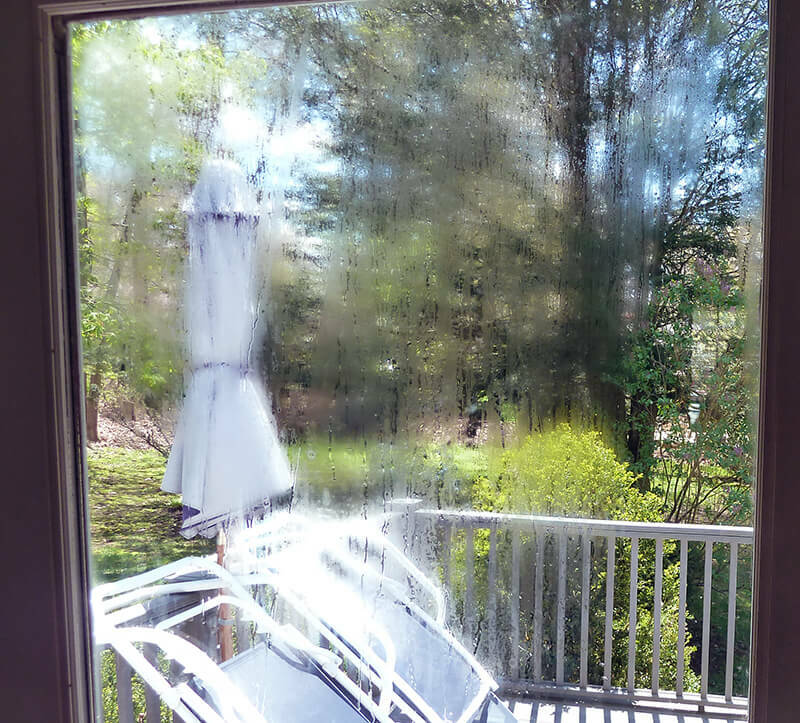 Check the photo to the right, which shows condensation inside the patio door. The seal has failed on this double-paned unit. The door glass will continue to fog and start to leave ugly stains. HOW DO WE CHANGE DOOR GLASS? Replacing a sliding patio door fogged glass panel. Single-pane glass is cut to size and tempered. This is the standard for storm doors in older exterior doors that cannot accept insulated double-pane glass. 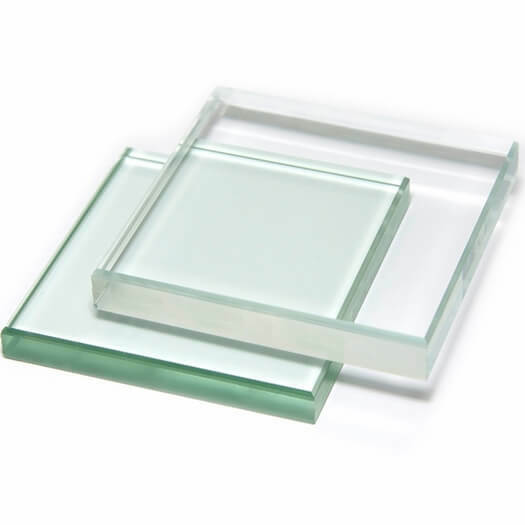 In places with high breakage concerns, we use acrylic sheets. Acrylic is sometimes called by one of its brand names, Plexiglass®. We sell high-quality Plaskolite acrylic. In extreme security situations we can use super strong polycarbonate glass. Most modern french and sliding patio doors come with removable glass panels similar to modern windows. Rather than changing the whole door we can simply pop out the panels and replace the glass. Many times, replacing the whole door involves costly and messy work of jamb replacement. You can dramatically reduce the work and expense by buying a replacement double-pane insulated glass panel. Most customers prefer standard window glass, but if you want your unique touch, there are a wide variety of options available. For your all your exterior door glass needs, you can rely upon Pioneer Glass to do the work professionally and fairly. Traditional glass has a slight green tinge, which tends to make the view a teeny bit darker, which you can see in the photo comparison. You can go with a crisper view by choosing a clearer low-iron glass. For more on low iron glass, click here. Do you have an older home or do you just love the cool look of old wavy glass? 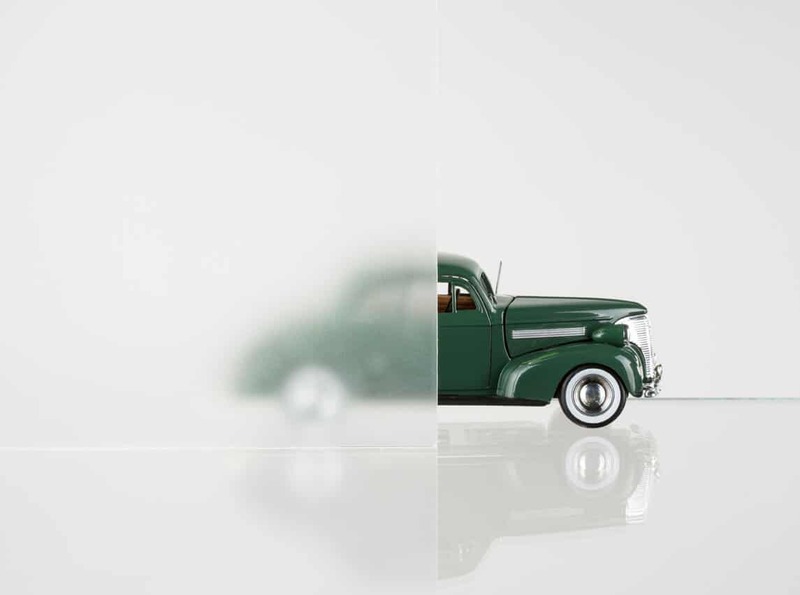 We can provide glass made with the same process as a century ago. For more on reproduction glass, please click here. There are locations where privacy is important for you. Consider tempering frosted glass or one of our patterned glass. Create the look specialized to your tastes. To see our specialized glass, click here. Replacement door and window glass use the same process. For more information on how replacement double pane glass is made, click here.